…to name a few! 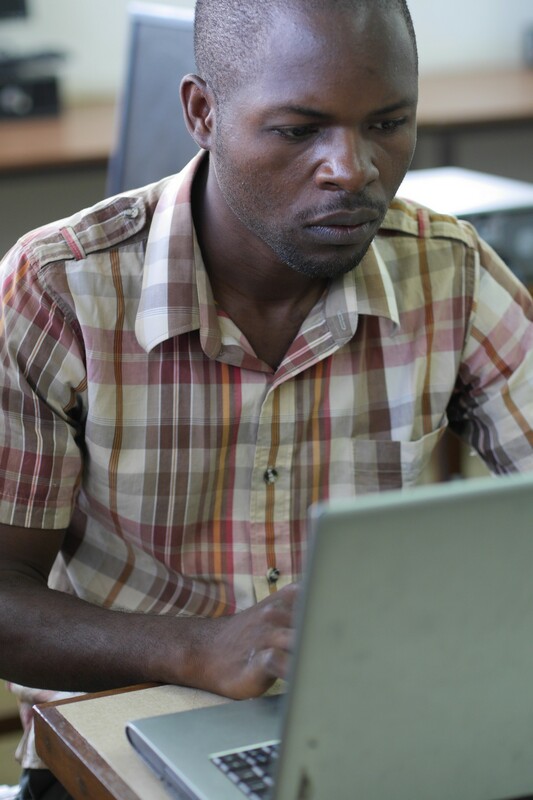 Topic (4) is being undertaken by Osbourne Kachaje, a part time lecturer at the Polytechnic – shown in the photo above. In particular he’s looking at linking temperature change, rainfall and runoff to the generation supply of the mainly hydro resources within Malawi. This research is important because it would be used by decision makers to better plan generation supply in the future. Another Mphil student, Daniel, is researching feasibility biogas for domestic applications. He was physics and education graduate from Mzuzu University who applied for this as there was an obvious need to displace paraffin. He believes there is a role for biogas to be used more. Like Osbourne, completing this MPhil will allow him to progress his career in academia and continue research in renewables in Malawi. The MREAP MPhils are only in their initial phases of their research, but nonetheless it is exciting to hear about the passion they have for their topics. We are looking forward to hearing more about their work, helping reach out to the projects within MREAP, and spreading news of what they learn. Previous Previous post: How many researchers does it take to change a lightbulb?